61% of Alexa skills have no users ratings. This figure had dropped only 1% in a year despite the doubling of Alexa skills during the period. Only 5% of Alexa skills have earned 10 or more ratings and just 1% have more than 100 ratings from users. The disconnect between a voice-first experience for most skills and a screen-only user interface for ratings may be suppressing new user reviews. A new Voicebot analysis shows that 61% of Alexa skills have no user ratings. This means no one has taken the time to give a star rating nor have they left comments for other users to better understand how the skill performs. User reviews were a key early feature of Amazon.com and the iOS app store. The lack of reviews may be undermining Alexa skill discovery and engagement with Alexa skills developed by third-parties. Voicebot reported recently that the number Alexa skills had topped 40,000 in the U.S., Amazon’s largest market for the voice service. That number roughly doubled over a 12 month period. Around the time when Amazon hit the 20,000 Alexa skill mark, Voicebot published the first data on Alexa skill ratings. The result at that time was 62% of Alexa skills had no rating. We said then that there were 12,591 Alexa skills that were essentially invisible. Today that number sits at 24,658 that are invisible. Keep in mind, that this means developers built over 24,000 Alexa skills and never bothered to ask a friend or family member to give it a review. Some people speculated that the 62% number in 2017 was a function of early developers pushing out Alexa skills that were never designed to be widely used, but instead were experiments to learn more about the platform. That was a logical rationale at the time, but it is interesting that the ratio has stayed the same. Does this mean that developers are building experimental skills at the same rate as they were previously or does it reflect something else about the nature of voice app reviews that require a visual interaction to complete? Jess Williams, co-founder of Opearlo, leans toward the latter explanation. This doesn’t surprise me. Not only is it a multi step process for a user to review a skill through the alexa mobile app, it’s not possible to do so through the medium in which the skill was used – i.e. voice. Apptentive found that 59% of people “usually or always” check ratings before downloading a mobile app. This does not appear to be the case with Alexa skills. You can enable them by voice and some Alexa skills are autoenabled. Both of these approaches mean that you can use the skill without ever seeing whether or not there are user reviews. Independent Alexa skills are clearly seeing use by consumers despite low review counts. There is not an absolute correlation between skill ratings and usage, but there is a benefit to having a large number of reviews. 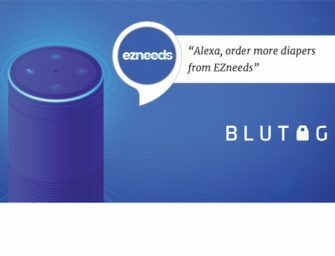 Many developers attest that when you have higher numbers of 4 and 5-star reviews, your Alexa skill is more likely to be featured in the Alexa app and on the Amazon.com website. Presence in the “hero” and featured “trays/strips” can lead to thousands of new user trials.